You can watch the livestream starting at 10:40AM ET. Today, Blue Origin, the space company founded by Amazon's Jeff Bezos, will perform another test on the sub-orbital New Shepard spacecraft and launch vehicle. This time, the company is looking at pushing the engines to their maximum limits with a high-altitude escape motor test. This will be the ninth test for the system. You can watch the live stream over at Blue Origin's website. The test is scheduled for 11AM ET / 10AM CT, and the webcast will begin around 20 minutes beforehand. The high-altitude escape motor test is designed to simulate what would happen if there was a problem with the launch vehicle during ascent. The spacecraft (which is designed for six passengers) will ignite its small, but powerful, onboard engine to speed away from the rocket in case the launch vehicle explodes while in flight. The team will then attempt to safely land the booster, as it did during a similar test back in 2016. Despite the fact that this is a test, there are payloads aboard New Shepard. In addition to Mannequin Skywalker, Blue Origin's in-cabin dummy, there will be scientific experiments, spacesuit material tests, WiFi access testing and more throughout the flight. 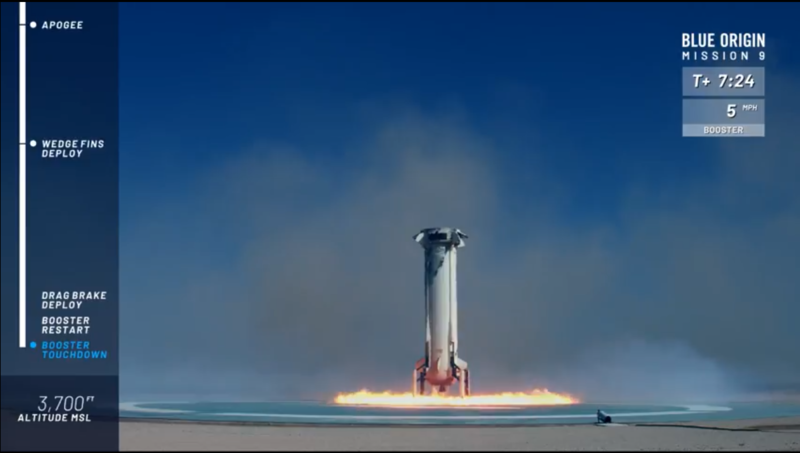 New Shepard was built with tourists in mind, and the company is moving closer to that goal. The system has not yet had an operational (or crewed) flight, but once tickets are on sale, they may be priced as high as $200,000 to $300,000. Tickets will reportedly be available for purchase sometime in 2019. Update, 9:40 AM ET: According to Blue Origin's Twitter account, the test has been pushed back an hour to 11AM ET. Update, 11:30 AM ET: The test was successful -- both capsule and rocket performed and landed as planned.